2 | have you entered my giveaway yet? you can win one of two models own nail polish sets (either ice neon or fruit pastel!) so get on it! 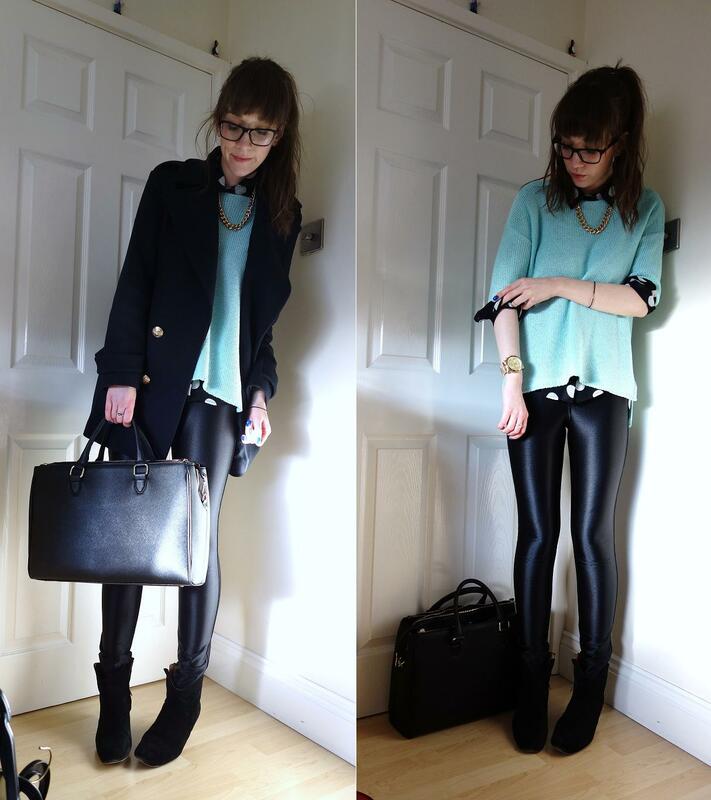 3 | look i’m wearing disco pants! about a billions years too late to the trend, i know, but i’m that kind of person. still puzzled what shoes to wear with them, but i think i can get away with wearing my dickers for now, welll, until spring decides to show itself. 4 | i have a new youtube video! woo yay etc. i think talking to the lovely jai’me on twitter last night inspired me to film something today. it’s just a little haul of the beauty things i’ve picked up or have been kindly gifted, enjoy! ps. don’t forget to take a peek at georgia’s latest post! is there anything you want off her wishlist?